Whether you like it or not, some of the best collagen boosters and wrinkle fighters come from experts. However, this does not mean that you have to regularly use synthetic products in order to look young. 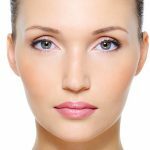 As a matter of fact, there are several all-natural alternatives and extracts that can make you look smoother, younger, and even glow. You just need to know what you are looking for. Here are some of the best time tested remedies that are not only safe but also effective. As compared to other products, olive oil is one of the most effective products that help in lightening wrinkles and tightening any sagging skin. Apart from being easily absorbed by the skin, it’s also rich in minerals, vitamins, and other natural fatty acids that help to nourish the skin. Since it has both vitamin A and E, it also functions as an anti-oxidant. It, therefore, helps in hydrating the skin by giving youthful look and elasticity that can make you appear younger. 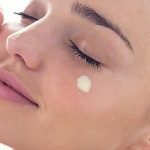 It’s actually one of the best recommended anti aging skin care for you. As an extremely common kitchen spice, Fenugreek has a great value and has also been used for a very long time for treating different kinds of ailments. Since it’s rich in vitamin B3 and niacin, it can help in the regeneration of new cells and recovering any damaged skin cells. Apart from its other benefits, Aloe Vera also has numerous skin care benefits. In addition, to reducing excessive oil on the skin, it also functions as a natural remedy for acne and pimples. Since it contains malic acid, it can greatly help to reduce wrinkles, fine liners and also improve skin elasticity. More so, the Zinc also increases the youthfulness of the skin by shrinking the skin pores. You just need to cut off one leave and apply the gel on the affected areas. Next, massage your skin for 5 minutes and then allow it to stay there for 20 minutes before washing with lukewarm water. Since your skin is a combination of water, proteins, and fats, it requires a continuous supply of healthy foods so as to replenish itself. Thankfully, there are several superfoods that can greatly help you replenish your skin. Some of them include almonds, blueberries, and tomatoes among others. While many people enjoy eating bananas, what they do not know is that bananas can also be used as a cream to mask the skin. You just need to mash one banana with a teaspoon of plain yoghurt then leave it for at least 15 minutes. Since it contains both vitamin A and B, it will help clear the black spots, prevent ageing and moisturize your skin cells. Using an egg white mask is an effective easy way of lightening your fine lines and wrinkles. By spreading egg white on the affected areas, you will get a younger, smoother and youthful appearance. Since it is rich in potassium, proteins and magnesium, it will greatly help in tissue repair and neutralize any damage caused by oxidative stress and free radicals. 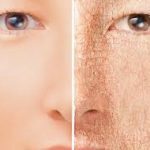 If you are looking for recommended anti aging skin care for you, then it’s one of the best.